Melt 25g butter and 3 tsp runny honey in the microwave. 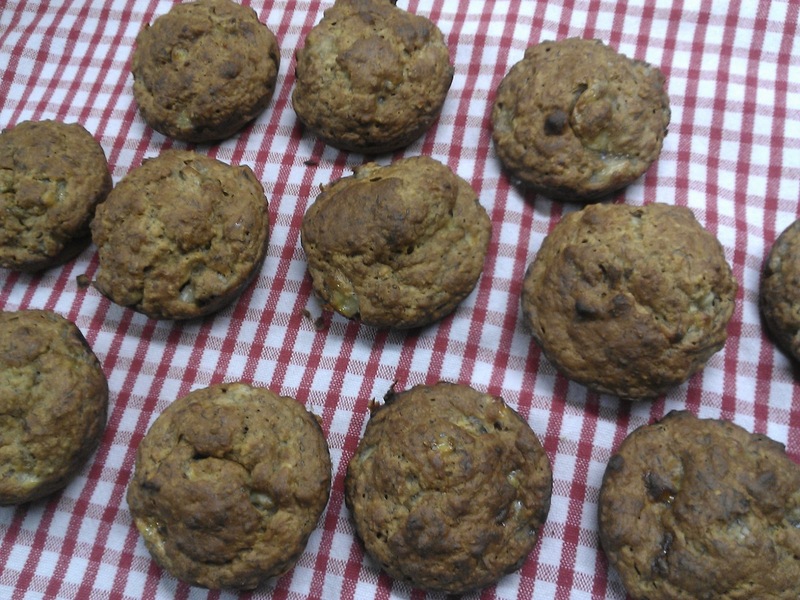 Add: 3 ripe bananas, 100g flour (we use self-raising), 55g oats, 75ml milk, a pinch of cinnamon and nutmeg, baking powder and bicarb. Mix together and divide into a greased muffin tin. Bake at 190c for 20 mins or so until done. I got the original recipe here and have tweaked to suit... ENJOY!